According to the annual CFPB 2017 report, there were 130,000 people employed by 6,000 collection agencies in the “$13.7 billion dollar industry”. Although the base salary of a debt collector is low, he (or she) can earn a lot in commissions, which are based on the amount of debt he collects. In this article we are assuming that the reader of this article (you) is a debt collector. This is a fairly long and comprehensive article, we have attempted to make it as informative as possible. Some individuals did not pay because they simply did not realize the seriousness of not paying the bill till they hear from a debt collector or they had simply forgotten to clear the dues. This happens more often than you would think. Lucky for you, such cases can be often cleared amicably in a single call. Before making a collections call, make sure you are fully relaxed, and regardless of how bad your last collections call was. Tell yourself “I will remain calm during this call, no matter what“. Let’s agree, a collections call from a debt collector is really that last thing any person wants to receive on given day. About half of the debtors (or less) will talk to you properly, others will give you all sort of excuses, some may even be nasty or abusive. Do not let any of this impact you, it’s a part of your job, laugh it off after the call is over. It is important for the debtors to understand that you are calling to work with them, not against them. Accept it, there is a possibility that the debtor might have already paid the debt, just that you are not aware of it or your corporate system is not up to date. In such cases, take whatever payment information the debtor can provide and end the call nicely. Get the payment information checked. Collection calls are commission based, collection agency gets paid only when the debtor makes a payment. The debtors are ideally required to pay the collection agency directly and then the agency remits the amount back to their clients after deducting their collection fees. Occasionally, debtors pay directly to the clients, in this case the clients are required to pay the collection fees back to the collection agency. Your client could have just forgotten to inform you guys about this payment. Rarely, but you may come across some sneaky clients who intentionally do not inform you about the payment they received, hoping to avoid paying your collections fees. And lastly, it is possible that the person really does not owe the debt or is protected since he is legally bankrupt. The debt could also be past the Statute of Limitations (SOL). Clarify your company’s policy when handling such past SOL accounts. Inaccurate billing and overcharging is another big complaint from debtors. This is particularly common in the insurance industry, phone and cable companies. These clients generally have no problem in paying off the debt, provided the bill is fixed per their understanding. Listen to the debtor, if he sounds genuine and the difference is large then discuss the matter with your supervisor after the call for the further course of action. At times, the debtor really owes nothing. Imagine the debtor is sitting in front of you. Your attitude should be somewhat similar to a recruiter. Personally whenever I have taken a job interview, I tend to be in my best behavior, act professionally yet authoritatively. A debt collector does not have the option to get angry. He should also avoid using any “Sense of humor” during the call. Something may be funny for you but may be offensive to the debtor. It’s a good practice to keep a smile on your face while making these collection calls, it helps to maintain a positive attitude. Never eat or drink during the call. Be aware of the FDCPA laws (Fair Debt Collection Practices Act) and other state laws that may apply. Never cross those limits. Other laws like HIPAA or TPCA may also apply. Scanning through the related documents once you are on the phone with debtor will look so unprofessional and unprepared. Here is some of the minimum information you should have in hand before making the call. * What services and products were sold and on what date. * Date when the payment was due. * Payment terms and any other supporting documents. * A summary of previous communication between your client and your collection agency. * If any payment has been made so far. * Are you permitted to settle the debt for a lower amount? Many debtors crosscheck the information a debt collector has about the debt in order to fend off the collector. But if within the first 30 seconds the debtor strongly feels that the collector must be having sufficient information about the debt, he will likely not go into further details, the tide will quickly turn from interrogation to how the debtor is going to pay. Do you want to spend the same time in collecting on a debt which is $100 vs which is $1000, probably no. Obviously, you do not want to spend too much of yours and company’s time on a small debt. If the collection call on a lower outstanding debt happens to go for a longer time than anticipated, and its still unclear whether the call is going productive or not, try to get the debtor back from auxiliary discussions or end the call nicely, and possibly call the client at a later time. Try to keep your call short but effective. By law, you are not allowed to discuss collection matters to anyone other than the debtor himself (or the co-signer of the debt if debtor is unreachable/unable to pay). This is also called the No-Third party disclosure law. Ensure that its the right person on the other side. Some debt collectors additionally verify customers by checking their last four digits of SSN or address. Start your call by speaking clearly and with confidence, neither too loud or too soft. If person on the phone does not know the debtor at all, then its possible that the debtors contact information has changed. You may need a Skip Tracing service to locate the debtor. If this other person asks what you are calling about, you can simply say its regarding some business matter. In case its the debtor’s correct number, just that he is not available at the moment, you can either decide to call at a later time or politely leave a message with your name and number and request them to pass it to the right person. It is a always beneficial to be aware if you are calling on debtor’s personal landline, cell phone or work phone. FDCPA Collection laws are more strict when calling on the cell phone. You can leave a voicemail but do not mention that the call is regarding a past due bill because if it is a shared voicemail box then you have can potentially disclose the debt to an unrelated person and violate FDCPA. Leave your name and number and request the debtor to call you back. Good morning, my name is [ your name], we have an important message from [company name] for [Mr. John Doe]. Please call [company’s telephone number] and please mention the reference number [***xyz] when you call us back. a) Address the debtor by his First Name, avoid using words like “Sir / Mam / Bro/ Buddy / Sis”. b) Tell the debtor that this is an attempt to collect a debt, any information obtained will be used for collections purpose only. Some debt collectors record collection calls. A little off the topic – These states require All Party Consent if the call is being recorded. (Washington, Pennsylvania, New Hampshire, Nevada, Montana, Michigan, Massachusetts, Maryland, Illinois, Florida and California.) This list could have changed by now, but overall your agency will make you aware of their call recording procedures and/or if you need to ask the debtor’s permission before recording the call. c) Then you let them know who your client is, which would be whom ever you got the actual debt from. d) Make them aware that the client has legally authorized your collection agency to collect the debt on their behalf. e) Then right away ask the debtor how they would like to pay. Most collection agencies will accept payment over the phone. Get ready for all kind of excuses, we have an article on excuses here. Most likely the debtor himself will tell you the reason for non-payment, but if they do not then ask them. f) If you end the call without getting a payment or without a commitment of payment date/amount then that call has been wasted. g) Sound serious about getting the payment, if you do not show seriousness and haste, then the debtor won’t get serious either. i) If the debtor tells that he will make payment at a later date, then right away ask him will it be by Check, Credit Card over the phone, Money order, (or other options like Western Union). Most debtors reply that they will mail a check, ask them which Bank/Credit Union will they use. All this will reflect how serious you are to get the bill paid off. If the debtor demands a return envelope for making the payment, then confirm their latest mailing address. In fact sending a payment envelope is encouraged, as serves an additional payment reminder. j) If the debtors tells that they do not have money now, ask them when will they get their salary. Tell them to remit the following day and if they can call you to confirm when the payment has been sent. k) Many debtors will start explaining you their personal financial hardships, although they may be correct but do not fall for those and yet do not appear indifferent. Take a middle route – “I understand why you are feeling this way”. l) Try to finalize the payment arrangements, if the debtor cannot pay lump-sum then offer them to pay in installments. “To prevent you going further into the debt, I can offer you to make payment in installments“. n) Take short notes, so you can recall what happened during the call. It will also help you to pin-point if debtor changes his story in the next call. Before the call ends, do let the debtor know that you have taken notes from this call. All this conveys your seriousness to collect the debt. o) Give few seconds pause after your questions especially when you ask for the payment arrangements, allow the debtor to speak. Short silences are a powerful tool in debt collections, they will likely spill vital information. p) Debtors may get angry, emotional, embarrassed and may even yell at you. Remember to stay calm and focused. Over time you will get immune to all these things. But, you can never threaten a customer. Making false statements like “You can go to jail” or “We know how to get money out of people like you” is a complete No-No. q) If the debtor is not willing to pay at all, politely let him know the consequences of not paying the debt, which includes entry of this unpaid bill on his credit history. Read your company’s policy before telling the debtor that “this account may be transferred to the legal team” is acceptable or not. If debtors feels that they are about to get sued, they will also contact a lawyer making your collection efforts even harder. r) Lastly, if the collection call is going unfavorable, try to intelligently end the call rather than hanging up. This will help avoid making matters worse. a) Finalize/formalize your notes from the call, including dates on which the debtor has agreed to send money. b) Most debt collectors become better over time. Do not hesitate to ask your co-workers (collectors) how they would have tackled a situation which you were not able to handle too well during the call. c) If you unfortunately/mistakenly violated any collection laws or yelled back on the debtor, do make your supervisor aware of that right away before the situation gets worse. Any unfortunate/critical situation should be documented and communicated to your supervisor immediately. d) Put a reminder for yourself to contact the debtor on the date on which you had agreed to talk again or when the payment is supposed to be made. Regular follow ups will maintain the pressure on him. a) Be aware, debtors are aware of their legal rights more than ever. There is an unlimited supply of articles and videos telling the debtor how to escape from making payments. Many of these videos do provide valid information but more often than you think these videos go over board and land up providing misinformation as well. People posting these video’s are often not even associated with the collections industry or lawyers. Their experience and suggestions may not even fully fit with the debtors own situation. They often arm themself with this misinformation and argue with you unnecessarily. Even the state collection laws vary largely by state, which these videos generally do not talk about. Many people post these misguided video’s just to make money out of advertisements, nothing else. So, yes there is pretty good information online regarding the debtor’s rights, but there is an equal amount of incomplete/misinformation out there which a debtor may not realize. Then there are lawyers who make a living out of filing a lawsuits against the collection agencies. Many debtors are so much loaded up with information (and misinformation), that they may start sounding attorneys themselves. * I do not owe this debt. * I need more information about this debt. * I want the debt collector to stop contacting me. * I want the debt collector to only contact me through my lawyer. * I want to specify how the debt collector can contact me. * Dispute the debt itself, likely within 30 days of the first contact. A debt collector needs to be flexible and handle situations smartly and diplomatically. A collections call is never easy. There is no magic-wand to collect debt. Information presented here is not a legal advice or something which fits in all situations. There are way too many situations and laws beyond what have been covered above. A large portion of this article is based on the feedback I got from fellow co-workers during my last 15 years in the collections industry. We would really appreciate your feedback on this article, and how to enhance it further. Statute of limitations (SOL) is a time period after which a debt collector loses the right to sue the debtor or take any legal action against him. Statute of limitations laws vary from state to state, for example in California it is about 4 years while in Rhode Island it is 10 years. In most states it’s between 3 to 6 years. Debts that have passed the statute of limitations are known as “time barred debts”. Q1. 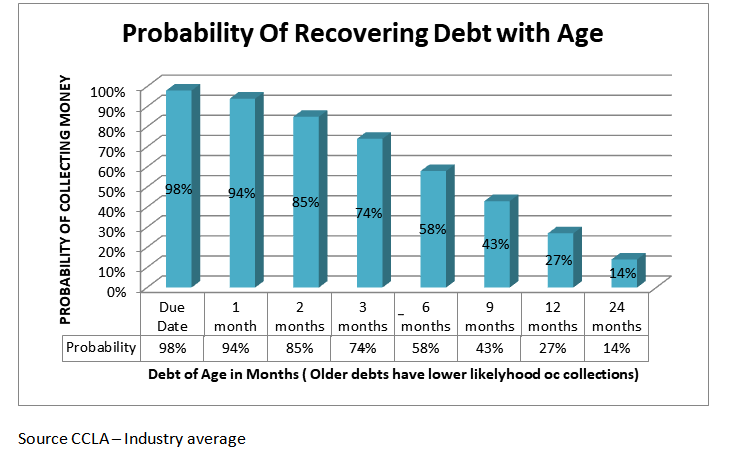 If the statutes of limitations have passed, is the debtor free from debt? No, the debtor still has the moral obligation to pay. The debt has not disappeared just that the debt collector can no longer force a debtor to pay or sue him in the court. Q2. If a debt collector contacts a debtor after the Statute of limitations has passed, has he broken a law? Not necessarily. Let us look at these scenarios. – A debt collector may have a wrong “Date of Debt” in his system. It is also possible that the debtor has wrongly calculated it and Statute of limitations have not yet expired. Both parties should clarify this amicably so that there is no confusion. Present the proof if necessary. – A Debt collector can still try to collect by sending a letter and calling over the phone. The debtor can tell the collector that he has no intention to pay and he cannot be forced to pay since the SOL has passed. The guidelines on statute of limitations varies by each state (and sometimes cities too), a collection agency must be very careful while trying to collect on these time barred debts. Q3. What are the consequences of not paying the debt after Statute of limitations have passed? The debt collector can report the bad debt to the credit bureau reporting agencies like Experian, Transunion and Equifax. That unpaid debt will appear on the debtor’s credit history for many years (typically 7 years). This will greatly lower chances of a debtor from taking more loans and sometimes even making it harder for him to get a good job for many years to come. There is another consequence of not paying the debt. If the financial institution forgives or writes off a debt which is more than $600, they may send a Form 1099-C to the IRS and a copy to the debtor as well. This is applicable to the principal amount only and interests and other fees cannot be added. IRS will make sure that this amount is added to the debtor’s income. There are some exceptions when this is not applicable like, discharge of debt due to bankruptcy or debtor’s insolvency etc. Since debtor took money and did not pay it back, IRS treats this as an income and demands tax on it. If the debtor claims insolvency then IRS form 982 may apply. Debtor should consult a tax professional to handle this scenario. Q4. How is the Statute of Limitations date calculated? First of all let’s understand the “Date of Debt” concept. It is the date when the debtor made some activity on that account. It could be the date when the item was purchased, or when the payment was due, or when the last payment was made or even when the debtor re-agreed to pay the debt ( means the debtor has agreed again to the ownership of the debt). The most recent date is called the “Date of debt” and the SOL is calculated from that date. b) Written Contract – This could be a signed contract or an invoice. c) Promissory Note – In this the details of repayments are spelled out – Example mortgages or car loans. d) Open-ended– Here the balance and repayment terms can change- Ex: Credit cards, line of credit etc. Following are some examples of Statute of Limitations by each state (in number of years). A state may alter the Statute of Limitations period, therefore do not rely on the table above. Your collection agency should have the most up to date information on this. A proof of last activity may be a copy of check, credit card statement and other forms of communication that may have happened with the debtor. Q5. What can Restart the Statute of Limitations? If a debtor makes even a small payment ( say even $10) after the Statute of Limitations has passed or agrees to make payment under a new arrangement, it can potentially reset the “Date of Debt” again. In other words the Statute of Limitations will reset and the debt collector can sue debtor in the near future. Q6. Can the old debts be removed from the debtor’s credit report once the Statute of Limitations have passed? It can be removed only if the debt is inaccurate or legally disputable or has been resolved. Statute of Limitations has nothing to do with credit bureau reporting and affects the credit score for 7 years. Q7. Why is there a concept of Statute of Limitations after all? It’s kind of a fairness doctrine. A debtor cannot be harassed all his life for a debt he could not pay. After all even a creditor takes a risk if he does not take the full payment right away. As the debt gets older, circumstances change, documents are lost and important evidence can be misinterpreted. The objective is to encourage diligent collections while evidence is available and fresh. Considering all these factors, the Statute of Limitations came into existence. 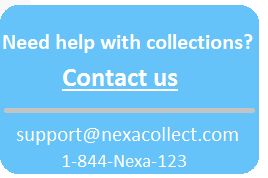 Are you looking for a collection agency? Get in touch with us by visiting our “Contact us” section. 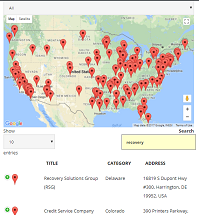 There are about 5000 collection agencies in USA … Yes, you read it right. Each agency claiming to be the best, of course because then need business from you. We have shortlisted a few collection agencies based on their performance, pricing and experience. You may contact us in case you are looking for one. Hiring a collection agency is like selecting a reliable business partner. Here are the main factors that will assist you in shortlisting which collection agency is the best for you. 1. Does the agency have experience in your industry? Laws and techniques of collecting money differ from industry to industry. For example, the approach used to collect money from the customers of a car dealer is very different when money is collected from the patients of a dentist. A doctor may want to use diplomatic verbiage to collect debt, while a car dealership may want to go for intensive collections. HIPAA privacy laws apply only when the debt is from healthcare industry. Your collection agency should have experience in collecting debt which is relevant to you. Ask for references from your lawyer or your chamber of commerce. You may also check reviews on Better Business Bureau (BBB) website, but collection agencies never have good reviews due to the nature of their work. Check if they are registered on the ACA website. Most reputable commercial agencies are members of the International Association of Commercial Collectors. Ratings are important, but it is also important to understand that agencies which collect from individuals generally have a lower rating than those who strictly do Business collections. So, make sure you are not comparing apples to oranges. Overall, you want to select a low risk provider. Do check if your agency insured and bonded. Individual (or Consumer) collections refers to collecting money from individual debtors (a person). Business (or Commercial) collections is Business-To-Business collection. What kind of debtors do you have – Individual or Business or Both? Therefore check if your collection agency has experience in dealing with the kind of debtors you have. All collection agencies must follow rules specified by the Federal and State governments, which includes not indulging in threats, harassment or falsifying information. Contrary to popular perception, there are plenty of good bill collectors out there. While the occasional bad actor gets the headlines, less than 0.01 percent of all collection contacts end in complaints to state or federal regulators or the Better Business Bureau, according to ACA International, a Minneapolis, Minnesota-based industry trade group. Such collectors generally have a short career in the industry. Following laws is essential for the survival of a collection agency. Illegal actions can result in heavy fines on the collection agency and even the client (the original creditor). After all the collection agency is collecting on creditors behalf. A collection agency which follows guidelines like FDCPA and HIPAA are less likely to get sued. Members of the Commercial Collection Agency Association are the only collection agencies certified by the Commercial Law League of America, and they have to pass some stringent requirements to obtain that certification. Is your collection agency willing to provide detailed information on their collections process? For instance, exactly how will your customers be contacted, how often, and in what manner? If your debtors are local, then hiring a local collection agency is suffice. But if your volume is large and your debtors are present in many states or may move to other states then it is recommended to select a collection agency which is bonded and licensed to collect in all 50 states. Collection Agencies should ideally carry Professional Liability coverage for their errors and omissions. Defense for suits alleging failure to comply with the Consumer Protection Acts are the most common suits Collection Agencies face. FDCPA lawsuits are rising every year. Even frivolous claims cost money to defend; thus, this coverage is vital to a Collection Agent’s business. Ask your collection agency to provide references of their old or current clients. Not all collection agencies will provide this. But an agency should be able to minimally provide their average recovery rate for your industry. This will give you a fairly good idea about their debt collection performance. 8. Do their services and cost suit you? Typically, debts lower than $1000 generally does not require a customized collection approach. Bigger the debt, higher is the need for a customized approach. Some services are flat fee based while others are percentage based? Here are some examples of services which collection agencies offer. b) Collection Calls: These are percent based collections. Depending on the balance, age and services provided, a collection agency may charge between 10 to 50% commission of the amount collected. c) Legal suit: This is also percent based collection and is suitable for larger outstanding debts only. An agency may charge between 10% to 50% commission for legal collections. Some collection agencies have tiered contingency rates based on size and age of the account. Lookout for savings: Make sure to fully understand the fee structure of the collection agency. One collection agency may charge 40% for a service; however a similar agency may charge you 25% for the same service. Does your collection agency have an online client portal, so you can see the debt collection status of each account submitted. If they do not have a client portal, will they keep you informed about the collections activity or proactively tell you when a payment is received? Do they take enough measures to secure your and the debtor’s data? If they accept credit cards, they should ideally be PCI complaint. Does their online client portal use Secure Socket layer ( SSL / Https protocol). If they are sharing data with other parties, are those secure or not. 11. Background check on debt collectors? A collection agency should check that the sensitive data of their clients is not handed over to those debt collectors who have a criminal background. Your reputation is very important, and you want to ensure that the debt collector is not prone to use collection methods that harm your reputation. Many collection agencies do not report noncollectable debt to the credit bureaus. During a collections call, if a debtor asks the collector “Will you report this to Credit Bureaus if I do not pay”, or “Will this appear on my Credit History?”. If collector says “NO”, the debtor is less likely to pay. Few debtors have a history of suing back businesses who they need to pay. Ideally a Collections Agency should do a scrub if a customer is litigious or not and advice you accordingly. Very few agencies do it. For written contacts, the accounts you buy come with an expiration date ( typically 1 year or 2 years). Its ultra rare for an agency to offer accounts which do not have an expiration period. This enables you to buy a big chunk of accounts for a cheaper rate, and keep using it over the years. A $20 account cost for 5 contacts will fall to around $10 per account when a large chunk is purchased. Fixed fees services have an upfront cost but are extremely cost effective. Core collection calls made by a debt collector are contingency based and are a great deal for the collections company but not you. So if the age of your accounts if within 120 days and still you are being pushed for contingency collections by their sales person, think twice. We have listed a lot of selection factors above. Even a great collection agency may not be able to fulfill all points discussed above, that does not make them bad or inferior. But this list will certainly help you to make a meaning selection when comparing one collection agency with another. 1. Be honest to your collection agency. Keep them informed of any changes that you may become aware of during the collections activity on an account. Keep all the paperwork supporting the validity of the outstanding debt and provide them when asked by your collections agency. 2. Sooner you submit an account for collections, better the chances are of recovering that money. Typically, a collection agency will accept accounts 60 days after the payment date was due (also called the date of debt). Visit our “Contact us” section to get in touch with one of our shortlisted collection agency.